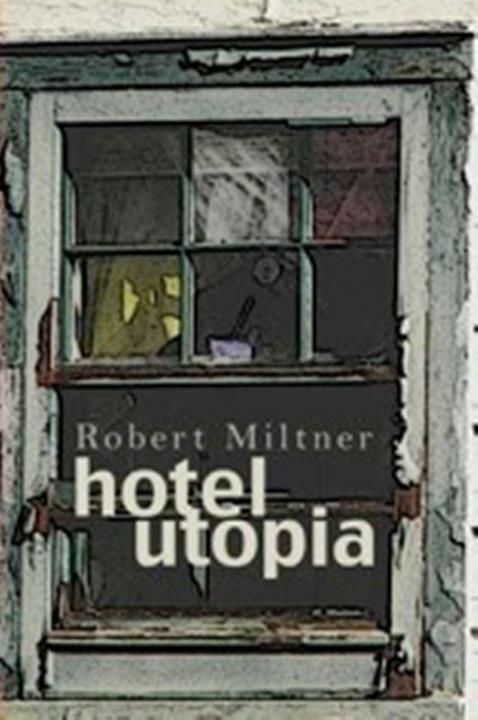 Hotel Utopia, Robert Miltner’s latest book from New Rivers Press, is incendiary. The voice sparks with a passionate commitment to social justice and to the marriage of art, in its myriad manifestations, to global cultural and political movements. The figure of fire burns through the pages. In a persona poem titled “Eugene Debs Comes to Canton, Ohio, 1918” the speaker exclaims, “The workers. . . are tinder and/ firewood. My words will be like gasoline, my passion will be/the wind that fans the flames of their revolt.” Lighthouses, rooms, rage, even the sky burns with the passion of change around Hotel Utopia, while the established order flinches: “the firehouse next door slept uneasily” (“Late Capitalism”). In addition to the recurring image of fire, the persistent theme of change via revolution prevails, be it literary (Kerouac, Salinger), political (Mao, Zapata), artistic (Orozco, Picasso), musical (Miles Davis, Gill Scott Heron), or personal (desire, a father-in-law’s illness, awe: sunset). The poems are dense with references to public figures from these many walks, but also filter down to the personal realm. The message reverberates, poem to poem – pay attention, “use your voice.” Even love, in this collection, is a beautiful, personal revolution that contributes to positive change in the larger world. A further cohering feature of the book is the employment of the prose poem, a form that serves as a trope to the recurring image of structures―house, hotel, rooms, café: the particular architecture of this utopia. A glance at the poems’ titles reveals the through-image of buildings and cities: “Red House,” “White Hotel,” “Blue House,” “House Noises at Night,” “Black House,” “Red Door,” “Café la Habana,” all clustered around our highly symbolic Hotel Utopia. These buildings are intact only as word blocks on the page: the structures in our lyric city are distressed - either burning (“House of Fire,” “After the Lighthouse Burns”), shattered (“Broken House”), disrupted by bourgeois strangers (“White Hotel”), or otherwise disturbed. The collection is a virtual map, placing the reader in a physical context―a room, an edifice, typically urban. Under each context, the ground shifts, and a rumbling accompanies the anticipated change built on an idealism that drives the poems. The block form upon the page physically suggests a sturdiness―structures strong enough to bear the weight of multiple cultural and historical allusions. In this way, the form serves as apt mimesis, a dimensional layering of meaning upon meaning. The form also capably embodies a powerful tension of opposites that springs from the dichotomies that energize the poems―privilegia vs. the backs of the workers, tourists vs. natives, generals vs. refugees, master vs. servant, greed vs. poverty, and, most prominently, words vs. guns―within the narrative so well carried by the prose poem. In a sense, the book holds an extended historical narrative, punctuated by the groundswell of change. They wore white linen suits. They laughed like water in a mountain stream. They ate veal. . .
Down the nine stanzagraphs, the actions of the moneyed tourists are portrayed. The speaker’s point of view revealed ever so subtly through the particulars described, closing with the line: “They liked the way the table candles lighted their faces.” The repetitive phrasing establishes an uneasy equivalence between each uninflected statement, while reinforcing the strength of each line, contributing to the core tension of the poem. The power of syntactic parallelism is also revealed in the poem, “Over the Border,” in which each of the eleven stanzagraphs consists of a noun clause which reads as a sentence fragment, ending in a period. Each line is a broad shouldered, individual description, yet Miltner achieves a narrative linearity here, despite the staccato movement of the poem. The reader is expertly drawn in, held in the progression of lines until the close, where the single full sentence―a question, then an answer―occurs, lingering like smoke after pistol fire. in bed game. . .
Miltner celebrates artists of every stripe, particularly visual artists. A good number of the poems are ekphrastic, inspired by evocative art that “leaves a rough tear across the known canvas:” Orozco’s public murals; “Refugees,” titled after a Tamara de Lempicka’s painting; “The Uprising” after a painting by Honoré Daumier, and one of my favorites, the splendidly lyrical poem, “The Utter Beauty of Water,” inspired by a kimono painting by Itchiku Kubota. 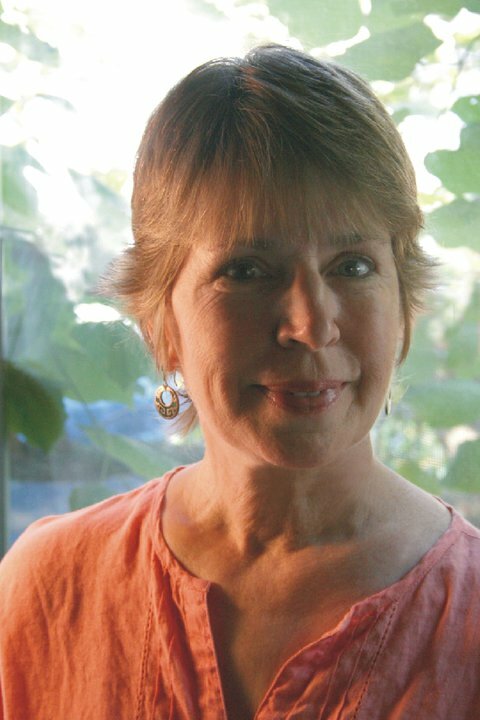 Miltner’s style is painterly, vivid with color and texture, as his poet’s broad brush paints a world rich with spirit and hope amidst struggle. The voice throughout Hotel Utopia is authoritative, the point of view shaped by dust on boot heels dug in the soil of turmoil. The speaker is clearly a student of history, of art and a keen observer of cultures in flux. The reader senses that this collection is a very personal labor for Miltner, a work of heart, gut and ethos. His sympathies land squarely on the side of the oppressed, the feather rufflers, the paradigm shifters, yet he manages to avoid exhortation. We travel with the speaker across centuries and cultures, crossing new roads, unaccustomed rooms, each poem a journey-worthy valise, abundantly packed, each turn of the page a key in our hand. I’d like to begin by congratulating you for winning the Many Voices Project book award for Hotel Utopia, and its publication by New Rivers Press. This is clearly a labor of conviction and passion. How satisfying it must be to have your art and heart intersect in the format of this handsome full-length book. Congratulations, also, on Hotel Utopia being a finalist for the Ohioana poetry award. That’s quite an honor! I was particularly struck by the diverse cultural references, particularly of the visual arts, throughout the book. Why don’t we open with a question about how art influences your writing. BAS: There seems to be quite a lot of “cross pollination” between your poetry and other forms of art; specifically, visual art. Many of the poems are ekphrastic or directly inspired by specific works of art. What’s more, the art spans continents, cultures, centuries: Orozco (Mexican muralist), Picasso, Frida Kahlo (19th C Mexican), Pollock (Am modernist), Edmund Tarbell (19th C Am impressionist), Matsumura Goshun (18th C Japanese), Tamara de Lempicka (20th C Polish art deco); and the list goes on. Clearly, you are a student and lover of art. How has art influenced your poetry? RM: Thank you, Barbara. I’d like to say how wonderful it was to have my book selected by New Rivers Press, one of the oldest independent presses in the country, and the one which published the anthology The Party Train which was my primer on prose poetry, with its brilliant introduction by NRP founder Bill Truesdale on the categories of prose poems. And it is an honor to be a finalist for the Ohioana award, sponsored by one of only four state literary libraries in the country—it is an Ohio gem. Sight and sound are among our primary human receptors of experience. And for poets in particular, we are drawn to image, simile, metaphor. It is at the heart of what we do, what is often the glue that holds our words together, allowing us to write about abstract ideas by offering readers concrete images. When I was learning this craft, I used to read a lot of William Butler Yeats who did that so well, making the abstract so physical. So the leap to visual art as stimulus, as prompt, was something that pulled me. Because I don’t own a television, though I have access to the world on my laptop, rather than react to the corporate imagery of the mainstream media—sitcoms, Hollywood films—I watch foreign films and go to museums and galleries instead, allowing myself to be pulled into a work of art. Usually I take my notebook and sketch the image so I can recall it later, and I free write, sometimes finding a narrative line, a character’s voice, a metaphor, lush colors that are not in my automatic pallet, the shapes and scale and size, and more than anything else the atmosphere or tone of the piece. But I don’t just try to write a poem about what I see as much as I write what it inspires in or suggests to me. So clearly, visual art is an important prompt, another way of reading the world across time and space. And I think, especially in this book, these other artists, with their perspectives and “voices,” become part of the chatter, the dialogue of Hotel Utopia. BAS: To follow up on the subject of art, your preface poem is dedicated to José Clemente Orozco, public artist/muralist. There seems to be a strong correspondence between Orozco’s themes and the poems in this book; specifically, the broad brush, mural-like portraits of artists, musicians, revolutionaries, writers and popular culture figures depicted in the poems. Also, I’m struck by the fact that Orozco’s most well-known fresco is “Man on Fire,” depicting Prometheus surrounded by fire. Images of burning and the theme of fire run through the pages of Hotel Utopia. Would you talk about your connection with Orozco, how he has influenced your own vision? RM: Certainly. A few years ago I was in Mexico, mostly in Mexico City looking at the Rivera murals—there and in Cuernavaca—and visited Kahlo’s Blue House, which generated one of my favorite poems of the same name. But on a trip to Guadalajara I discovered Orozco, who I was not prepared for. I mean, the power of his work, the way it climbed the walls like a living organism, and the symbolic nature of it—not like Rivera’s near-realism—appealed to me in ways that startled me: here was an artist making reality symbolic. And the colors and the fire and the energy were all pretty nearly overwhelming. I remember walking around and just writing furiously in my notebook, trying to capture the immediacy of my reaction. Which is evident, I think, in how that poem (“Picture the Future”) is a set of fragments, of impressions and juxtapositions. How did he influence my vision? I think I came away with a sense that Orozco seemed to trust his vision, his art, to strive to be authentic. Maybe that. Interestingly, “Picture the Future” was originally the last poem in the manuscript, but when I worked with the team at New Rivers Press—these were students in the Publication classes in the Minnesota State University Moorhead, where the press is located—they argued for moving it to the front, as an introduction. My impulse was to have the book arrive at that question, “How else would we remember them [the disappeared]?” But the students were right, that is a better question to have the reader hold in his or her head throughout. BAS: Your poems are very visual―images clear and textured, colorful in every sense of the word. And for the most part, the poems have an inherent compass, being largely place-based narratives: the reader is oriented to a particular house, hotel, restaurant, city, a time period. Latin American geography and culture, in particular, figure prominently throughout the book. What about this culture and its history draws you and inspires your poetry? RM: Latin American culture—Mexico for me—is still very connected to its historical past. In addition to the mostly European colonial dimension, there is mestizo culture that is the fusion of that colonial segment with the indigenous people who still live there, in many places still isolated and tribally intact, for the most part. We don’t have that here. I grew up with Indian place names, names of eradicated or removed people. I dug up arrowheads and knew where there were burial mounds that were flattened and turned into putting greens on golf courses. In Stark County, where I live, I helped sift for pottery shards at Noble’s Pond, one of the oldest inhabited sites in North America before it was all plowed under and the McMansions were thrown up. In essence, history in this country is just another commodity to be marketed, branded, and woven into the grand narrative of colonial superiority and American exceptionalism. When your history is co-opted, who are you as a people, right? Here, what’s new is the fashion; history is too often discarded like some outdated car model. But in Mexico it seems as if history is lived every day. And the Mexican Revolution was initiated partly by displaced native people—like Zapata—who needed to bring their culture and presence into the 20th Century so that it could be co-present and brought in from the margins of society and given a voice. The Zapatistas are doing this again today in Chiapas. Octavio Paz claims that this was the greatest result of the Mexican Revolution: not the politics nor the economics, but the empowerment of the native peoples and Mexico’s acceptance of that. Thus the Murals are the centerpiece of Mexican art after the revolution, of Rivera and Orozco especially. For my work, this resulted in the impulse for history to arise from the dead and live again. That is why I evoke so many historical figures, historical events. It gives the body of the work a larger context, as well as a trajectory, toward some form of a fragmented epic, some way to remember what has been disappeared. BAS: As I mentioned, the poems in Hotel Utopia are jam-packed with a myriad of apparently disparate figures, many of them political: Mao, Fidel and Raul, Zapata, Trotsky, John Reed―revolutionaries, all. An ambitious assemblage of personages, to be sure! The all-inclusive naming of these figures reminds the reader that the struggle for liberty and dignity is universal. Can you talk about other reasons for invoking these pivotal political figures in your poems? RM: I began with the question of how exactly art—poetry in this case—has the potential to be revolutionary, a term by which I go to the root, of re-evolving, of finding new energy for growth. In a way, I wanted to suggest that these historical figures made an impact, as can art, and I selected from some of the revolutionary figures who have been made into icons in the popular culture, that is, Mao, Fidel, Che, Jesus. And I wanted to draw from the cultural icons because it suggests it is healthy to reconsider their significance if we wish to re-evolve. One thing that gnawed at me was the question, How does one practice revolution in the early 21st century? In “The Uprising,” that impulse is just impulse that flares and fades. In “Café La Habana, Mexico City,” it is almost accident as the tourists are caught up in a flow of workers who “turn left” at an intersection. In “The John Reed Book Club,” it is intentional in a commercial way as a band, the Marxists, goes on the tour bus to, well, sing about it, to “text the world.” The closest I got to an answer was the closing poem, “Dear Beautiful Revolution,” which is at best a kind of love song. BAS: On the heels of that question, your political leanings go undisguised through these and other of your poems. The poems are tuned to a powerful pitch, with your sympathies clearly aligned with the paradigm shifters; the poet’s voice insistent, urgent. Yet there are enough degrees of restraint and balance within and between poems to avoid a didactic tone. That’s got to be a tightrope walk for a poet engagé, which is how I would describe you. How do you manage to risk yet steer clear of didacticism? RM: You edit ruthlessly. One poem alone that reads as propaganda for a particular political agenda and the book collapses like a poorly constructed card house. In the drafts leading up to this manuscript, I interrogated and purged like a dictator anything that smacked of political agenda or even an approximation of 1930’s proletarian literary aesthetics. I kept Steinbeck in mind, the way he made Grapes of Wrath so effective because he told the story of one family—and even that is a bit proletarian aesthetic, it never preaches or tries to persuade. And yet, as you observe, my political leanings are undisguised, mostly because, I think, art is the revolution, nothing else. In “The Arts,” which is as close to an ars poetica as I wanted to go, really calls for an open, questioning approach to life—what the Brazilian educator Paulo Freire called “problem-posing education”—is a necessary act of revolution, of not settling for the pat answer, but to seek instead the next important question, to continue to develop as individuals, as communities, as a nation, as humanity. BAS: Do you believe that poetry can be a political tool, a constructive source of propaganda? Do you consider the poems in Hotel Utopia revolutionary, insofar as expanding the readers’ perspective, even inciting change? RM: All art can be used as tools for social activism and change, for building communities, to operate as a universal language. If art is what we intend it to be, then if we intend it be that which merely reinforces, validates the answers we already know, then that is what art will be. But if we create, by intention, art that probes, instigates, challenges, agitates, then we create an art that raises the questions we need to address. And I don’t mean by that a governmental addressing, but rather the individual and the affected community. And when diverse communities discover they are asking the same question, well, you may say I’m a dreamer, to quote John Lennon, but then again, I am a utopian. BAS: There is a wonderful cohesion throughout this collection, owing to the use of the prose form, and also to the recurrence of powerful images and themes throughout the poems. I’d like to ask about several of those through-themes, if you will. Architectural images recur: houses and their structural particulars (doors, windows, thresholds), hotels, restaurants, a lighthouse. This is such a powerful leitmotif that binds the book conceptually. How did the use of various structures evolve as you wrote the book? Also, the image of fire,of burning makes this one hot read! Can you talk about the symbolism behind the many fire images through these poems? RM: I’ll address the architecture first. This is a book of prose poems. As an historically poetic subgenre, and one which now is in the process of demanding recognition as its own genre, much in the same way that creative nonfiction has done, prose poetry is a hybrid form located in the interstices between poetry and prose, which has historically been described as anything that is not poetry. So: from poetry it brings image, non-hierarchical word choice, sound and song, juxtaposition of fragment and phrase, and an intuitional interior logic—everything except poetry’s aversion of the right margin. From prose, it brings linearity, the paragraph, sentence rhythm, character, voice, plot, arc, description, information, problem, climax and especially the readers’ impulse to rush at the speed of the sentences. But prose poetry has to negotiate those two, stand in two canoes, as it were, be some of both, but neither one completely. It is a balancing act. And because the more common form for the prose poem is a square or rectangle, they are boxes on the page. Like one of Joseph Cornell’s art boxes. Unless they fracture the single box into several small sections, which we call the stanzagraph, which is a break in the box negotiated between what a paragraph does in prose and a stanza does in poetry. That said, as a book of prose poems I began to envision this book as a kind of hotel, each prose poem box as a different room. Any book’s structure is a sort of architecture, so I went toward a specific form, the hotel, that temporary place the reader comes to stay while reading. This is all the playful subject of the poems “Box of Light,” perhaps the most blatantly romantic poem in the book. As the book took shape, houses and cafés, references to parts of houses, offered variations on place as identity and doors and windows as liminal spaces. And that provided me an opportunity to rename a number of poems so that there would be recurring varied titles that would link poems together. Now, the fire is different. I think of Raymond Carver’s essay, “Fires,” in which he uses that poetic metaphor to describe creative energy, of being just consumed—as if in flames—by the forge of the imagination. He got that from his teacher, John Gardner. One thing that is important to know is that this book was constructed of poems culled from chapbooks, journal publication, and works in progress. So that when I began to see the architecture and the fire, those poems tumbled in and pushed others out, but that is just the process of shaping the book; like Robert Frost said, you know, that in a book of twenty-four poems, the book itself is the twenty-fifth poem. And, of course, I see as much water as I see fire in the book. What Debs calls the steam engine of social change in the poem about Eugene Debs near the end of the book addresses that directly. But the fire is the forge, the clearing out of what has gone bad, the way fields can be burned to prepare the soil. And fire is light, and light is knowledge. BAS: I want to ask about your literary influences. Who are some of the poets whose work has ignited your own poetry? Also, you seem to have a real feel for Latin America, as one who has walked its streets, talked to the people. Have you travelled to Latin America? If so, how have those travels fueled your thinking and your writing? RM: Good question. For this book, the prose poets: Russell Edson, Peter Johnson, Nin Andrews, Robert Bly, James Wright, Gary Young, Campbell McGrath, Holly Iglesias, Brooke Horvath, who introduced me to the prose poem, Czeslaw Milosz, Charles Simic, and, of course, Pablo Neruda. I’ve only visited Mexico and Puerto Rico. Spanish is quite musical compared to this polyglot English we speak. Their syllables often end in vowels, so there is an organic assonance; the inflection rises and falls so the sound is wave-like; the gendering of nouns brings in a constant play of sound-banter; and the speed is extraordinary, how even the most mundane topic sounds so exciting, you know? I guess it is like hearing a second language for anyone—we hear its differences and they can be exciting. When I was young I was an alter boy in the Catholic mass, which was in Latin, and I recall the sonorous, sadness of the Holy Week dirges, the ecstasy of praise and rebirth on the High Mass on Easter: I had no idea what much of it meant, literally, but I felt the language and it moved me. So Spanish is akin to that now. And Mexico, in particular, moves at a pace I like, has spices and flavors and colors that stimulate me. Think of white fish in a green pepita mole, or oysters just taken from the bay and shucked, soaked in lime, followed by an espresso cut with thick milk. Think of the pandaria with its case of breakfast bread, sticky with honey, in glass cases buzzing with honey bees, selecting the sweetest pan dulce from the loudest case. I may be exoticising it somewhat, but we can only find so much in our own, known culture. BAS: Returning to the various figures throughout the poems, you fill the book with the heated rhythms of the prose poem and with musicians whose work broke new ground―another kind of revolutionary. Strains of Miles Davis, Gill Scott-Heron, Edith Piaf can be heard in these poems. You are a lover of music as well as art, teaming up electric guitar virtuoso, Erin Vaughn, on the CD, Two Trains Too Many, which features your reading interspersed with Vaughn’s riffs. It’s a fabulous pairing of spoken word and instrument. How do you think music influences poetry, and vice versa? And how would you describe the rhythm and music of the prose poem, as compared to a free verse or traditional poem? RM: I could say that poetry and music are one, and though that is not actually true, it sure is close. I came to poetry through music, playing in rock bands, listening to Dylan and Cohen and Lennon-McCartney. When I tried to write songs, however, I just didn’t have the rhyming skill. Still don’t. But I began writing and, with some encouragement from some teachers, I started reading contemporary poetry—Allen Ginsberg, James Wright, Kenneth Patchen, these latter two who were Ohio poets, something that never occurred to me, that poets could live and write in Ohio, or even come from Ohio. But I’ve played guitar myself since I was a teenager, and music has always been part of my life. Two Trains Too Many developed from a project Erin and I did at Kent State University at Stark where we both teach, and where he directs the studio ensemble; we paired some of my poetry students with his ensemble and did a small show. We then decided to collaborate with each other and included three of our pieces in the show. The way it worked was that I gave Erin a stack of poems and he wrote music for the ones that evoked for him—similar to what I do with visual art, you know?—and then we rehearsed and played. Then, when our campus started a music technology program, we had access to a studio and our colleague who ran the studio. Also, the CD cover was designed by Ryan Humbert, a member of the band Erin plays in as the lead guitarist—small world, huh? But to get to your question about music and poems: in traditional verse poetry, the form and music drives the content, which is sort of grafted into the melody, whereas in prose poetry, the music just breaks out sometimes, like in a Bollywood movie when people are walking down a road and then all at the same second break into song and dance for a minute or two, then walk down the street again. So, I guess it has to do with what is planned (traditional verse) for music and what just happens (the surprise of prose poetry). What was really interesting for me was to record four of the poems from Hotel Utopia in Two Trains Too Many. I knew how I read/performed these poems, the pauses, intonations, inflection, knew what worked with an audience. But on the CD, I follow the music, work with or against it. So, there was a lot of negotiation between the music of the pieces and of how I read them on stage without music. With the music, I sort of chant them, while Erin plays guitar. It was like translating my own poems into another language at times. At times, the rhythm of the music added a stimulating energy that lifted the poem, like on “Accident.” Or what happened on the one track where I worked with Scott Thomas on the bongo, for “Birth of the Cool.” We tried to pay homage to the beatniks and coffeehouse readings of the 1950’s—the title, after all, comes from a Miles Davis album from that time period—this was a piece where I felt Scott follow me, as we wove in and out of call and response. I can honestly say I’ve never experienced such a degree of musicality in my poems. And in some ways, this was a fulfillment of my intention as a teenager to write songs. BAS: Even though the subjects and images in many of the poems in Hotel Utopia might be considered dark, even disturbing, you also present a sense of hopefulness, even idealism; that constructive change is possible; indeed, imperative. You bookend the collection with images of optimism: section 3 of the preface poem begins with “Sunlight. Art and architecture publicly owned. Fresh air. . .” and the closing poem is titled, “Dear Beautiful Revolution.” What kind of “revolution” do you envision? For this country, for the world at large? RM: Hmm. Well, I think too many of the institutions on this planet have been co-opted and corrupted to the point that they endanger peoples’ lives and the fate of the planet. I mean, we know that nuclear power produces toxic waste that we cannot get rid of, and what happened in Japan at Fukushima shows the flawed vulnerability. And we know that fracking poisons water tables and causes earthquakes. And that sustainable solar and wind and tide powers are both possible and essential. But we need “sunlight” and “fresh air” in our democracy to weed out the bought out and paid-for corporatists who would ruin the economy of a community—or a state, if we look at Michigan—so that a few can profit. That is not democracy. And it is imperative that the corruption be tamed through regulation and legislation and the big money gets out of politics. We know this, we do. The challenge, the next question if you will, is this: how do we do this? It must come from the populace of concerned citizens and it must be organic and focused. The movements in the Arab nations, the Occupy and Indignato movements, are compasses pointing us in the direction of necessary change. And artists need to be a part of this, raising the questions and rousing the rabble. We can all be stars at the Hotel Utopia. BAS: One of my very favorite poems in the book is “Jack, Neal and a ’49 Hudson.” Here, you detail the convergence of affairs global and personal in the “high octane” year in which you were born. And, again, the play of political, social, industrial, literary and familial events seamlessly intersect: Mao, Salinger, Kerouac, your “lace-curtain West Side Irish mother” and Detroit’s auto assembly line animate the poem. Do you think that the post-war period of your youth impacted your world view and, ultimately, your choice not only to be a poet, but one committed to the prospect and necessity of change? RM: Well, all true political change is local, then works its way up. The Civil Rights movement began in Selma and led to DC, right? But you rightly see that I am connecting dots, that things are interconnected, that, in fact, without interconnection, change is like a potted plant with no place to spread and flower or bear fruit. I see art as a means of social change, of activism, of community engagement, but with a greater goal of generating not merely art, but art of the highest caliber, art that impacts and changes lives, that encourages us to question, helps us to work toward a better world, and that is utopianism. BAS: Hotel Utopia was clearly a labor of passion, a voicing of conviction. You have a new collection forthcoming from All Nations Press. (Congratulations on that!) Do the poems in that book follow a similar political vein? A similar style? And on the subject of forthcoming works, what projects are you currently working on? RM: Yes, All Nations Press in Virginia is bringing out my new chapbook, Imperative. It is a book of prose poems, but these are more playful, more varied, with some pieces that are ludic and less political. As the title implies, the poems call for more direct action as humans. A third of the poems are brief “imperative” statements, while the rest have titles that include the words song, story, riddle, fable, ode, tale, or rondo. Tonally, this will be quite different from Hotel Utopia. And I think it healthy for any artist to not replicate work. Vary it, yes; riff off it, yes; use it as a launching pad, yes, but not to turn one’s work into a literary TV series. Right now, I’m working on several things. As far as creative pieces, I am working very slowly on an historical novel, The Tempest, set in Wisconsin and Illinois onR August 14, 1914, the day on which arson and multiple murders took place at Frank Lloyd Wright’s Taliesin estate. I write short fiction and this is the biggest and most ambitious project I’ve attempted. Raymond Carver was right: a short story is closer to a poem than to a novel, genres aside. As I peel back the grand narrative of Frank Lloyd Wright, there are stories within stories that are being unearthed. I’ve had tremendous support for telling this story and this is always on the desk. I’m in the early stages of another full-length collection of prose poems, entitled Split Level, after those horrid architectural failures from the 1960’s—one of which I lived in during my adolescence. What a metaphor, for our sense of messed-up logic and for prose poetry—it is level, but, well, it isn’t. There will be some of the architectural play from Hotel Utopia, but the poems are more personal and more cultural and far less political. Additionally, I am working conceptually on a book of experimental verse poetry about loss and recovery, about one’s artistic identity, entitled Orpheus and Echo. Other Greek mythological and historical figures include Eurydice, Narcissus, Helen of Troy, and a satyr. But the characters are placed in a contemporary setting: Orpheus and Echo are a musical duo—he plays guitar and sings; she sings back up vocals and plays all the other instruments—recording an album called Torn Apart by Love. These are longer poems, triple spaced with Anglo-Saxon caesuras, and some of the poems are the song lyrics; it is quite narrative, and perhaps the most ambitious poetry project I’ve done. It is such an exciting project and it calls to me all the time. So I answer as often as I am able. 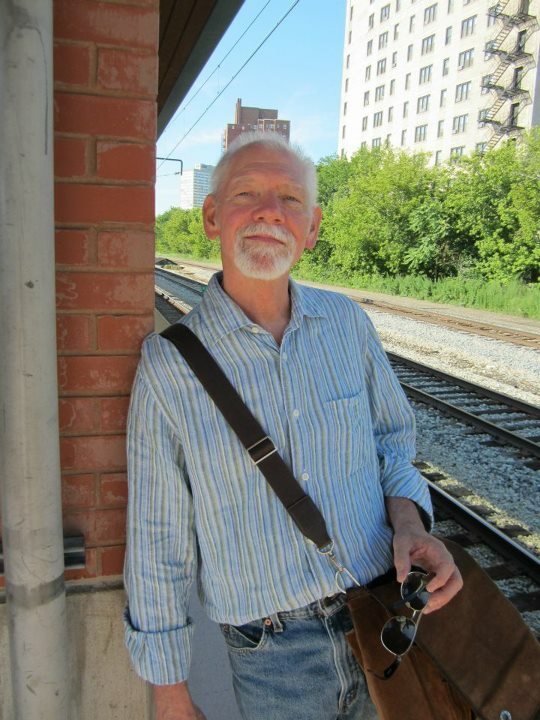 Robert Miltner teaches creative writing, English and Film classes at Kent State University and is on the poetry faculty of the Northeast Ohio Masters of Fine Arts in Creative Writing consortium program. He is the author of 12 chapbooks, including Against the Simple, winner of a Wick chapbook award; Queen Mab and the Moon Boy, recently published by Kattywompus Press and Imperative, forthcoming from All Nations Press. 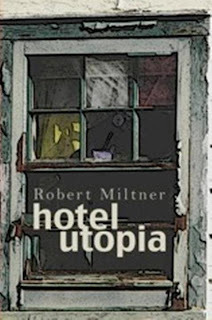 Hotel Utopia, his collection of prose poems reviewed here, was selected by Tim Seibles as winner of the Many Voices Project book award and was published in 2011 by New Rivers Press. He is the editor for the Raymond Carver Review and Quickly, a literary journal.